This Black Reclining Sofa Set 684 by Meridian Furniture is just right for you if you are looking for a reclining sofa. Meridian Furniture is well known for their quality furniture in an affordable range. This ergonomically designed reclining living room set offers ultimate comfort and you can sit on them for hours. Its color will go well with any room décor. The items included in the sofa set are a Double Reclining sofa and a Double Reclining Loveseat and a Rocker Recliner chair. 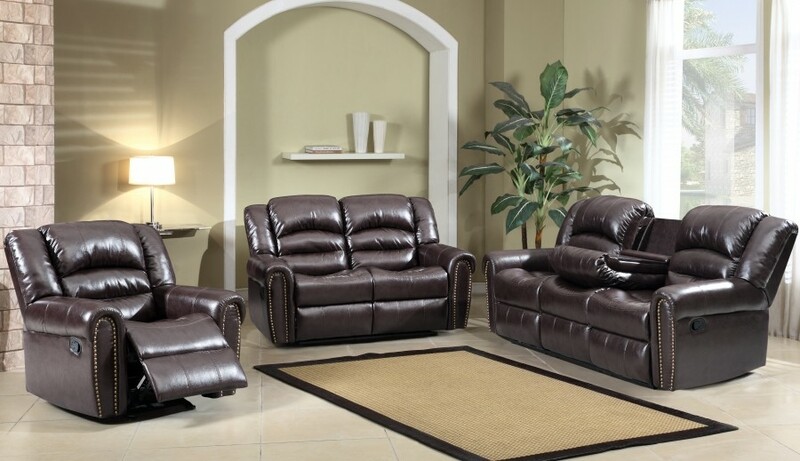 Made of superior quality bonded leather, this sofa set can be purchased separately or together as a set. The plush pillow seats and arms make the pieces extremely comfortable and stylish. The Detachable Backs of the sofa, loveseat and the chair is an added feature.